Scotland's first minister has pledged to reform the civil service in the wake of Lord Fraser's report into the Scottish Parliament building project. Jack McConnell said he "accepted in full" the Tory peer's recommendations and would use them to sharpen the skills of civil servants in Scotland. The first minister said it was not for ministers to "hire and fire" civil servants who worked for them. Political parties agreed lessons must be learned from the troubled project. Mr McConnell said the civil service was "a very different beast" today from that which was run by the old Scottish Office prior to devolution. "The purpose of this inquiry was to look forward as well as to investigate past decisions," he said. "Our duty and our responsibility is to make sure that this never happens again. "I accept lord Fraser's recommendations in full. We will ensure that those which can be implemented by our government will happen." The first minister said he was keen to see an increase in specialist skills of civil servants. 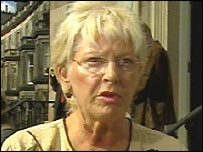 Scotland's political parties said the mistakes made during the project must not be repeated. Scottish National Party MSP Fergus Ewing said the errors should be "seared into the political psyche". "One message stands out from this report, that decisions made by ministers and civil servants in the early days of devolution left the taxpayer wide open to the massive cost increases that then followed," he said. "The report concludes that speed was given priority over cost, that the choice of construction management was made without any understanding of the risk of delays and that ministers failed to ask key questions over cost. That is damning criticism." 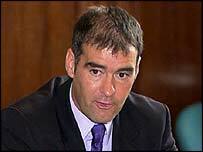 Scottish Socialist Party leader Tommy Sheridan said the report posed more questions than it answered. 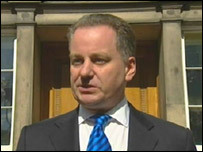 He said: "It does not answer two main questions that the Scottish public will have about the new parliament building. "Someone made a fortune from this project - who was it and who let them get away with it? "Are we seriously expected to believe that in selecting the Holyrood site that Donald Dewar, a member of the UK Cabinet, did not discuss the site with his cabinet colleagues?" Mr Sheridan added: "For all the cost and grandeur of our new Scottish Parliament building the biggest scandal is that it does not have the powers it needs to change the lives of the people of Scotland decisively for the better." The Scottish Greens said mistakes had been made, investigated and must not be repeated. Parliamentary leader Robin Harper MSP said the biggest failure of the project had been a lack of communication. "The project has been undermined from the beginning by failures in communication, failures in consultation, unnecessary secrecy, lack of clarity and lack of knowledge," he said. A spokesman for the Liberal Democrats said lessons must be learned on how to procure major public building projects. He added: "The covering up and hiding of crucial financial information about the rapidly rising costs which occurred before 1999 wouldn't happen today, because of the transparency which devolution has brought to Scotland's public services." Independent MSP Margo MacDonald said Lord Fraser would have been better served by naming names in his report. She said: "The public would have understood it better if he had said 'so-and-so got away with murder'. "Parliament must read Lord Fraser's report in full and ensure the public understand its contents. "The civil service has proved 'out of touch' with the construction industry and civil servants must become more specialised." The Scottish Parliament's presiding officer George Reid said he hoped the report's publication would signal the start of "a cathartic process of closure". He added: "Lord Fraser has identified a systematic and multi-faceted failure in a project which has cast a shadow over this parliament, and in which the cost has been carried by the taxpayer. That, clearly, is wrong."